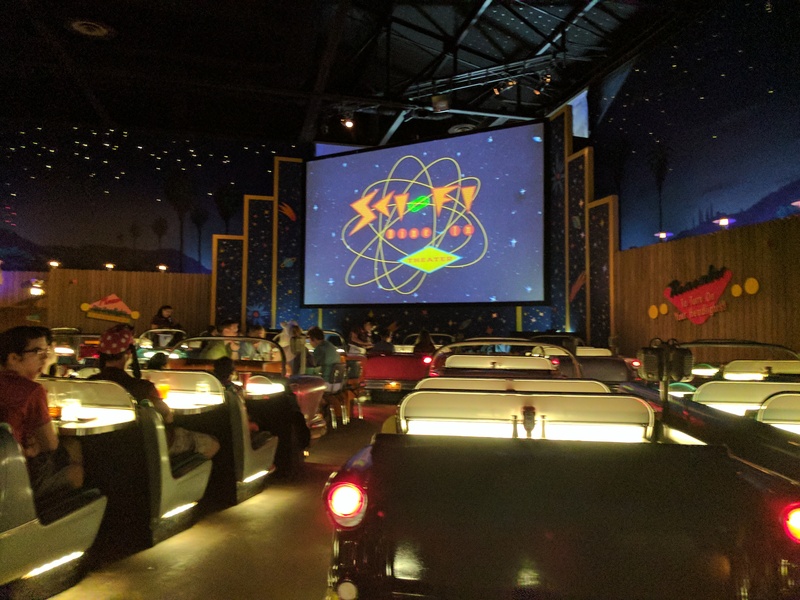 Our last in-park meal this year was at the Sci-Fi restaurant. Cool and cheesy in equal measures. Lorna and I were both a bit worn out by this time (and she had picked up a sort throat on the cruise with a mild fever) so we really didn’t fully enjoy our last few hours in the park. 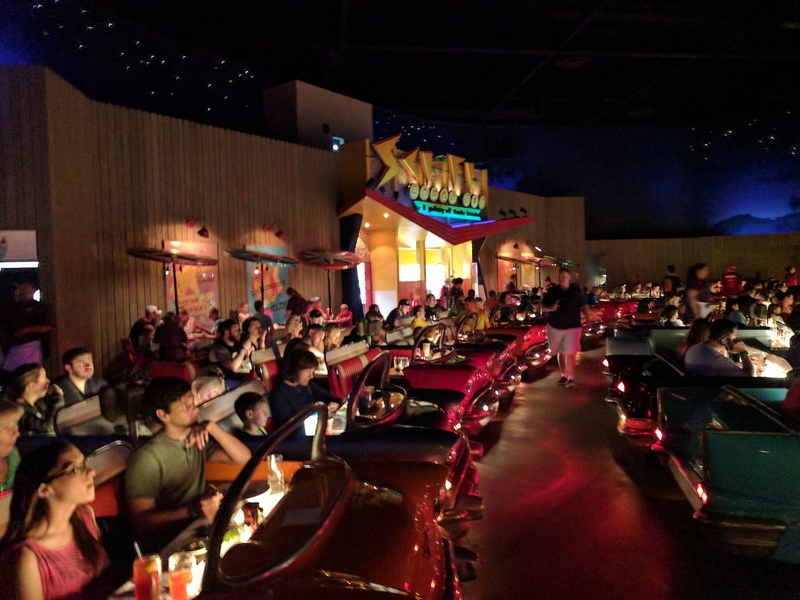 The Sci-Fi dine-in theater. Last day in this year’s vacation. 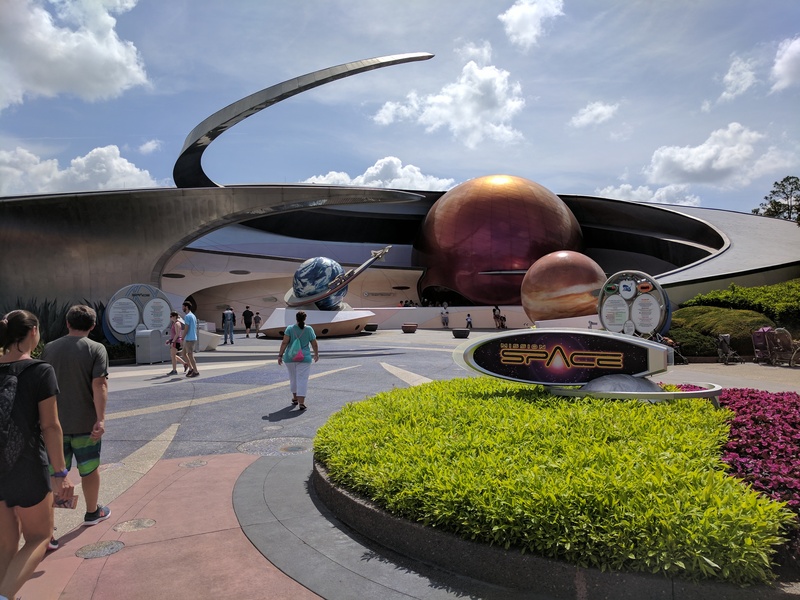 Another shot of the Sci-Fi restaurant…cell phone picture but my Pixel-XL does an amazing job in the low light there. Vacation is over for all reasonable purposes. 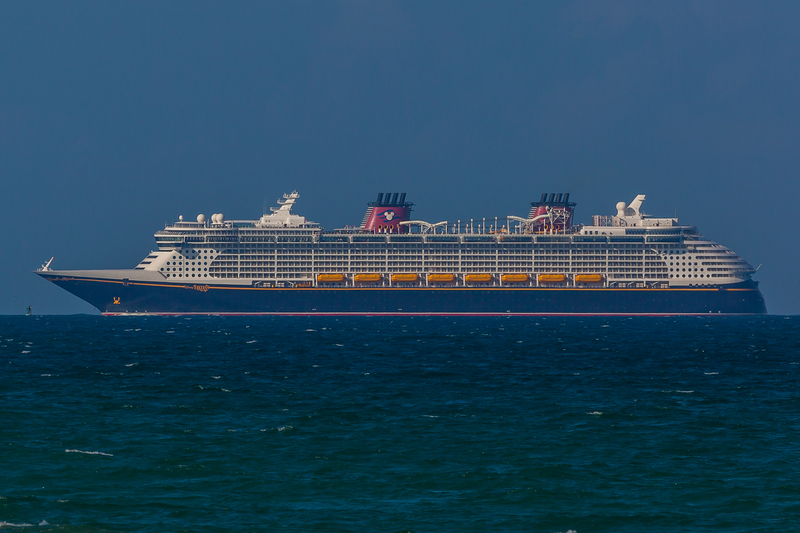 At this point we’re just hanging out in comfy chairs in the lobby of the Disney Boardwalk resort. Devices recharging after a last day of use and before the craziness of the airport. Hitting the bus at 6 PM with the flight making it to Manchester by sometime after midnight. Going to be a painful work day tomorrow running on a few hours sleep for a nine hour day. Expecting that this coming weekend will be a recharge and recover time. Lorna got a bit of a bug at the tail end of things that left her final day less happy than might have been hoped. She seems to be feeling better now…hoping the flight home is uncomplicated. 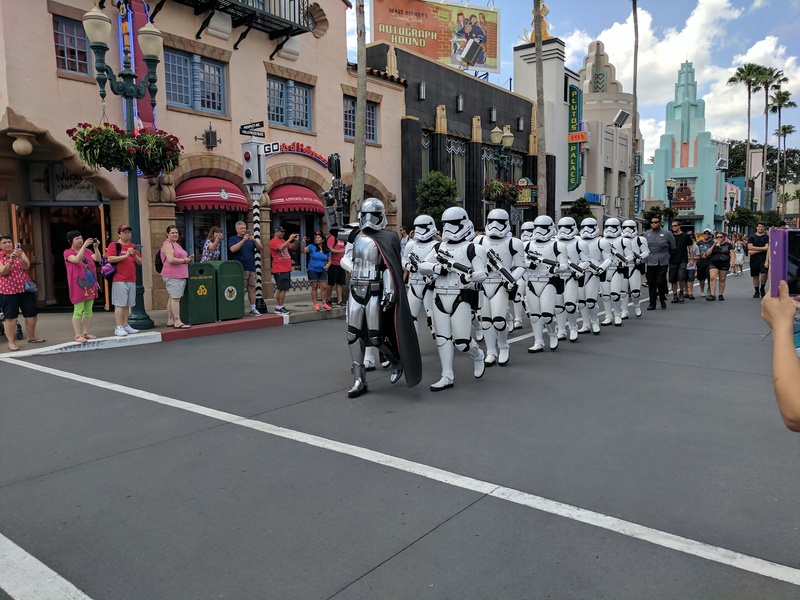 Best shot I got this time around of storm troopers on the march. 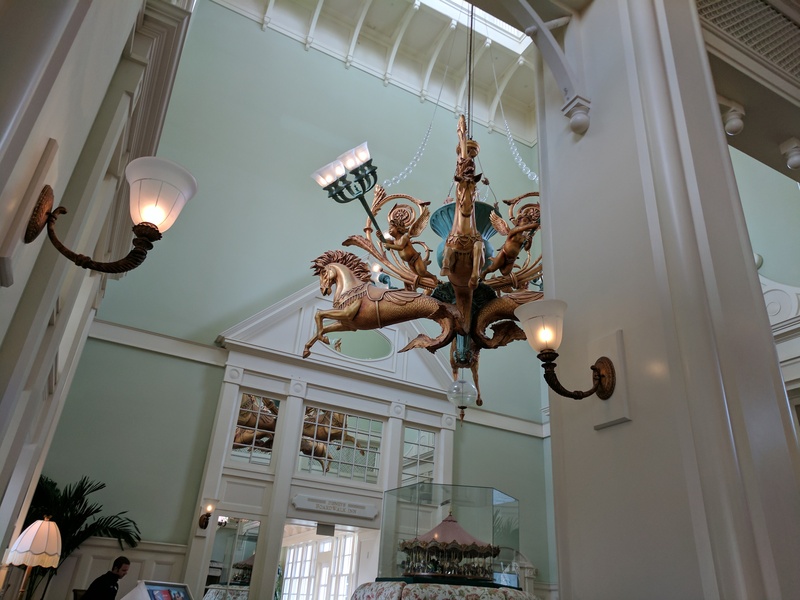 Amazing chandelier in the entrance to the Disney Boardwalk resort. We only stayed there a couple of days but we enjoyed it. 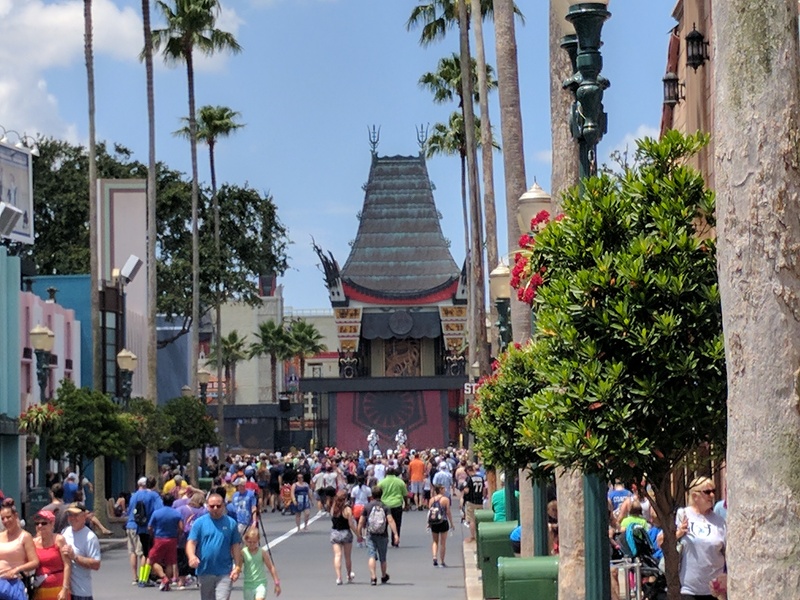 Final shot of the theater before leaving Hollywood Studios (our last park for this year’s Disney vacation). Waiting for. Lorna at the exit to destination space. Coming to the end of a wonderful vacation. 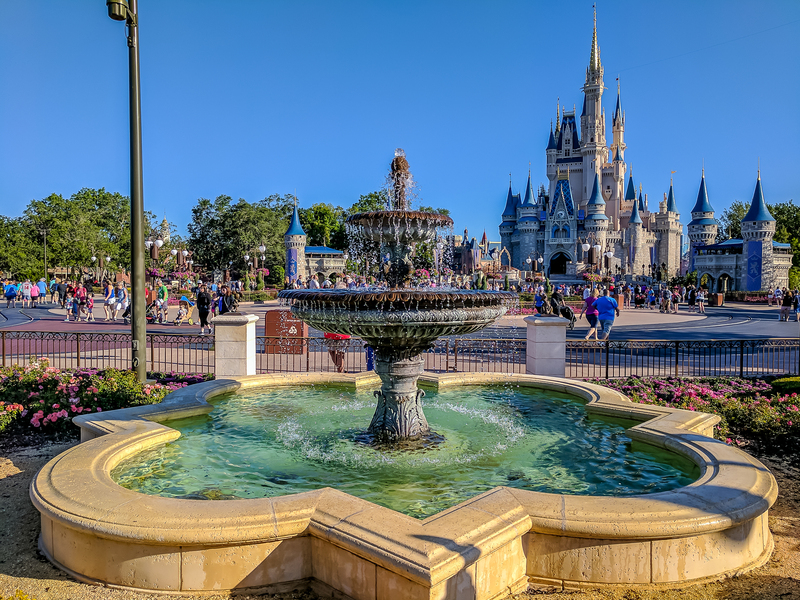 Disney parks, great food and a double dip cruise. Only thing that could have made it better would have been if Alyssa could have joined us.